The 14th Annual Fleet Week Coronado Speed Festival was held September 24th and 25th in 2011 at The San Diego Naval Air Station, North Island in Coronado, California. The 1.7-mile course was constructed in mere days on the runways and taxiways of the military base and eventually saw a a field of more than 250 historic racing cars. On the final day of the event, in Coronado Speed Festival 2011 Group Three, our very own Dennis Racine took the cup. If you're into racing and have a car that needs a little professional help to get it up to speed, check out Mini Mania's full-service race car shop capabilities. 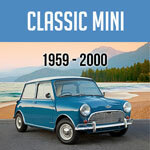 We can fine-tune and prepare your Classic Car for race day - at a minimal costs. 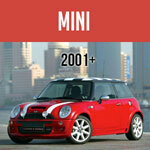 From our Killer Racing Engines from Mini Mania to Suspension to Gearboxes and Panels.